Home » GBP » Pound to South African Rand Exchange Rate Forecast: Are GBP/ZAR Losses ahead on UK Confidence Data? Pound to South African Rand Exchange Rate Forecast: Are GBP/ZAR Losses ahead on UK Confidence Data? The Pound (GBP) has fallen by -0.8% against the South African Rand (ZAR) today, trading an exchange rate of ZA17.4861. This deterioration follows the news that UK business optimism has fallen during Q3 2018, alongside a slight slowdown in industrial orders growth during July. Pound Sterling remains at risk of additional losses in the week ahead, specifically when GfK consumer confidence data is released on 31st July. This is tipped to show a deterioration of an already-negative -9 point reading from May, with a shift to -10 points. This is considered high-impact UK data, so the Pound to Rand exchange rate (GBP/ZAR) could well decline on the news. Will BoE Interest Rate Decision cause GBP/ZAR Exchange Rate Turbulence? Looking beyond next week’s consumer confidence reading, the main economic news of the coming week will be 2nd August’s Bank of England (BoE) interest rate decision. Some economists believe that BoE officials will commit to raising interest rates from 0.5% to 0.75%, which would be the first ‘real’ rise since 2007. For context, the BoE cut interest rates from 0.5% to 0.25% in 2016 and returned them to 0.5% in 2017, but since then rates have been left untouched. Whether a Pound-boosting rate hike materialises this week is down to how BoE policymakers respond to last week’s UK data. This was largely negative, showing slowing wage growth, flat inflation and worse-than-expected retail sales activity. If policymakers hold off on raising interest rates in August then the Pound could drop against the Rand, owing to GBP trader disappointment on unmet expectations. The South African Rand (ZAR) is at risk of declining against the Pound (GBP) in the week ahead, when ZA unemployment rate data is released on 31st July. Unfortunately for the Rand, current estimates are for a worsening of the already sizable unemployment rate of 26.7%, with a shift up to 27%. Predictions are for 5.9m more unemployed persons and all signs point to South Africa continuing to struggle with joblessness near to the highest levels of the 2010’s. Will ZA Trade Balance Growth Push the ZAR/GBP Exchange Rate Up? 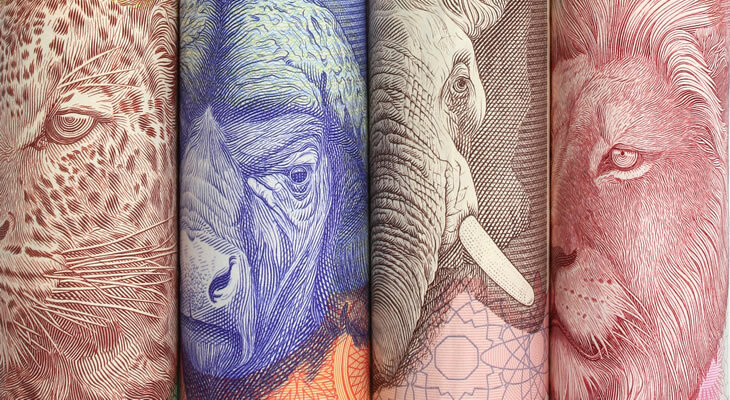 The coming Tuesday might not be entirely negative for South African Rand (ZAR) traders, as ZA trade data could still push the Rand up against the Pound (GBP). This will be June’s trade balance reading, which is currently tipped to show an expansion of the existing surplus with a shift from ZAR3.52bn to ZAR5.9bn. Such results would mean that South Africa exports more than it imports, which is a beneficial situation for the nation’s mining and resource-exporting companies. South Africa is running on three consecutive trade surpluses, so another positive reading could encourage Rand traders and cause a ZAR/GBP exchange rate rise.